Okay, so one of the biggest things about the NGP is the appearance of a second analog stick. The first PSP was criticized almost indefinitely about this issue, and they have clearly decided the better course of action. Also new, the NGP features two touchscreens. Two touchscreens? Yes. One on the front, one on the back. Though it may seem impractical, the one on the back will serve a purpose, like in one video I saw, the bottom touchscreen was used as means of raising the ground on a level. An interesting concept that I hope is executed well. Secondly, there's Wi-Fi and 3G. 3G support will only be available in certain areas. This does beg the question: how will this be different from the (unannounced) PSP phone, or Xperia Play? 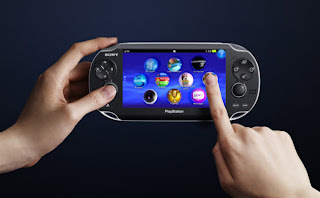 Well, it seems as though there won't me much of a difference, except the Xperia Play will also be a phone. Speaking of the Xperia Play, which is an Android based phone that will play PSP games, the PlayStation Suite will be another addition. The PlayStation Suite is a conceptual section of the Android Marketplace that would sell apps and games for the Xperia Play and NGP. All in all, I look forward to the release, and renaming, of the NGP. It looks promising enough, but this time around it has to compete with the incredible ability of newer cellphones. And with cellphones growing how they are, that will be a difficult task for Sony.